LATHAM, N.Y. -- N.Y. Army National Guard Sgt. 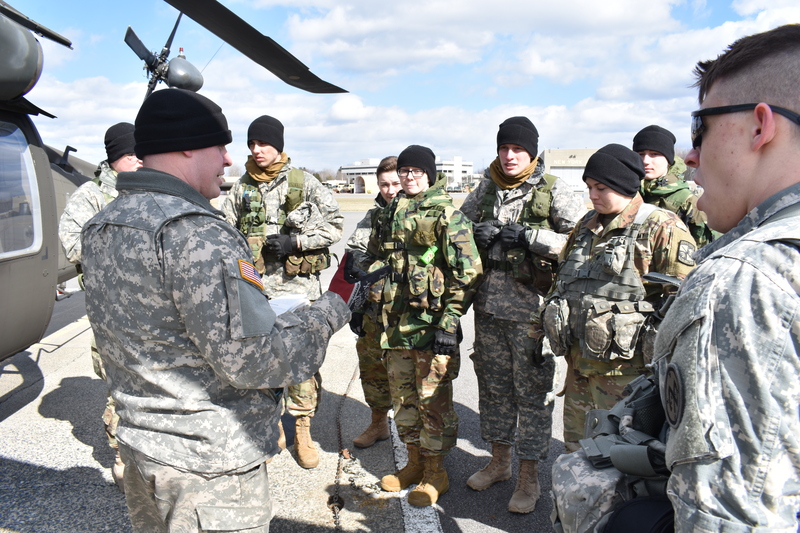 Joseph Roth , a member of the 3rd Battalion 142nd Aviation, gives cadets from the Siena College Reserve Officer Training Corps(ROTC) a safety brief on UH-60 Black Hawk Helicopters before flying in Latham N.Y. April 5 2018. The 3-142nd was flying the ROTC cadets to Burlington V.T. for their monthly training.